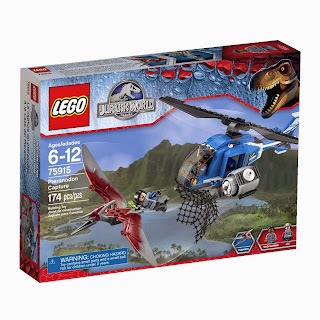 come with a jurassic one helicopter and a pteranodon. 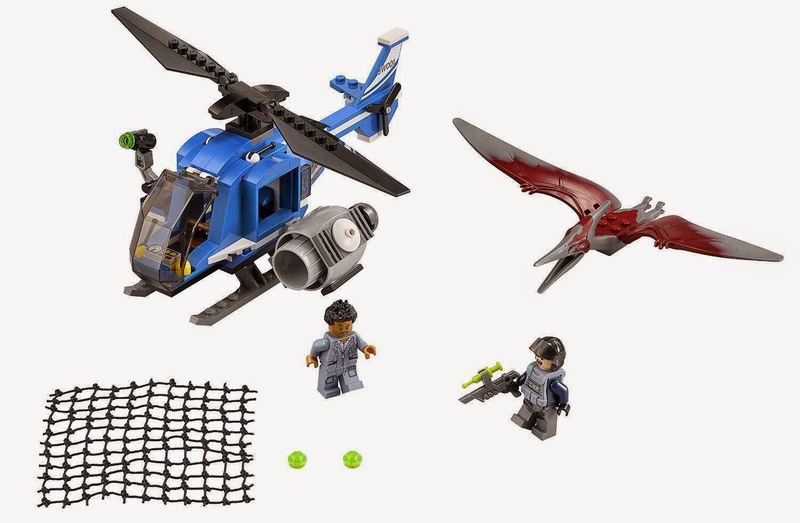 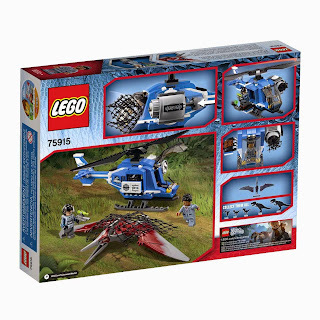 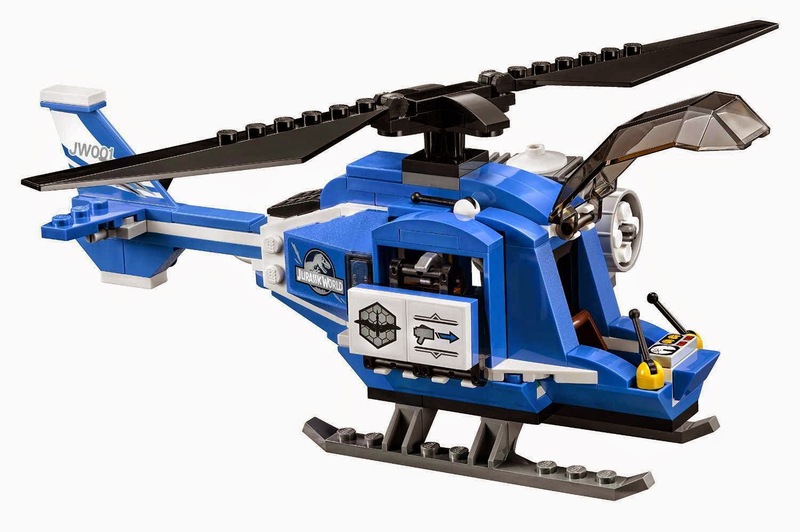 the helicopter has an openable cockpit, an openable side door, a removable stud blaster and a net shooter. 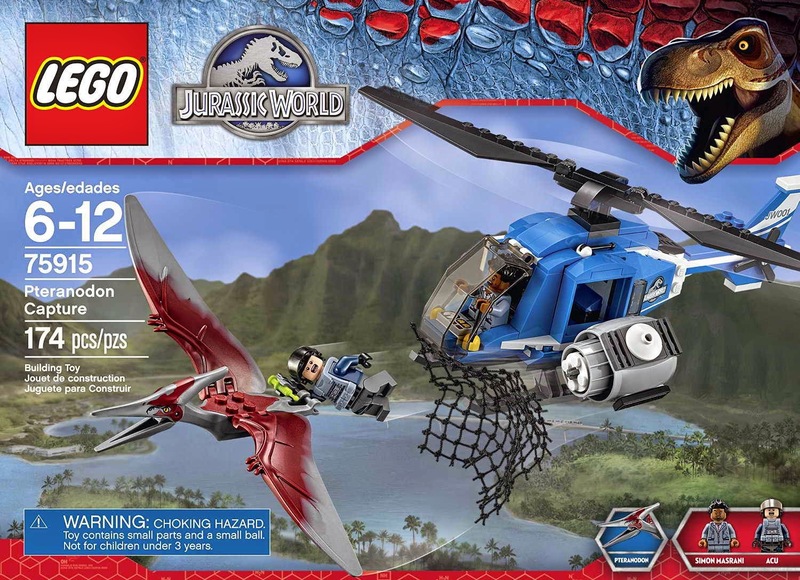 the pteranodon has flappable wings. 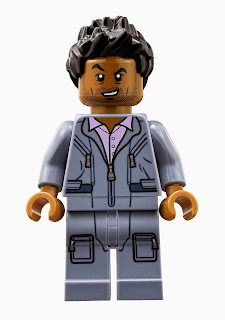 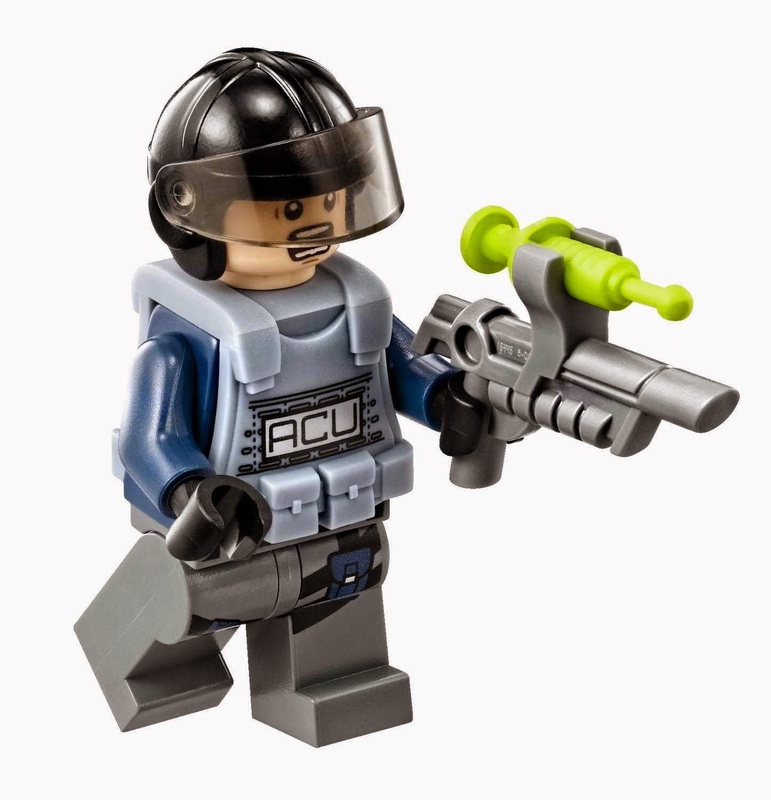 minifigs included a simon masrani minifig and an ACU trooper minifig.